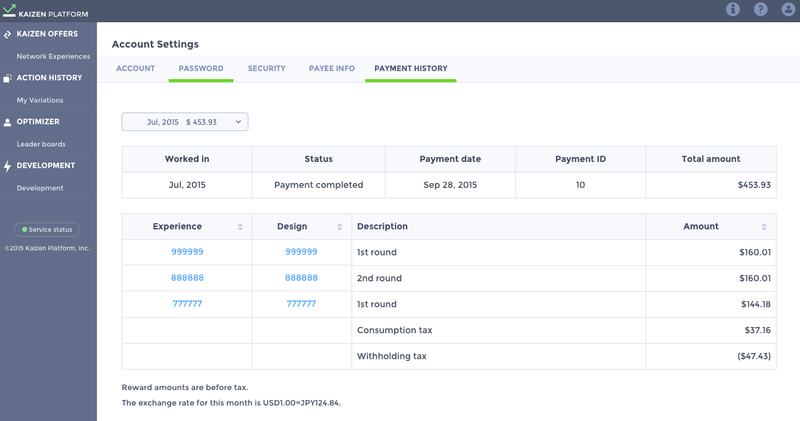 Optimizers used to view their reward amounts from each experiment via email, but now they can easily access their entire reward history on the K2 Platform. The reward amount (excluding tax) will be posted by the third business day of each month. Thank you for using Kaizen Platform. If you have any questions contact us via our contact form or chat.